This was the radio station that I listened to (or rather, my parents listened to) when I was a very young kid. From this source, things like school closings, weather, lunar landings, news, sports and traffic could be heard. At one point, there was a guy called the “Traffic Hawk,” (real name Don Foster) who flew in a Cessna 172 east and west over main street in Poughkeepsie advising drivers of any slow downs in the area. That’s right, Poughkeepsie, New York, population 30,000, had it’s own eye in the sky, broadcasting live from the aircraft overhead. Actually, I think he also flew up and down South Road (US Route 9) in the vicinity of the IBM plant, which employed quite a few people in those days. There was also a guy who tried to break the Guinness Book of World Records by staying awake the longest, this happened several times. For me, it was the school closings. I hated school with an absolute passion. Everyday, I would ride the school bus and say a little prayer; “…please God, make it today. Make the boiler stop working, or the electricity to go out. Make the kitchen catch on fire or the roof to cave in. You are a great and mighty God and I don’t ask for much. Please destroy my school today.” Alas, God did not seem interested in this. It signed on with a power of 250 watts on 1,420 KC on June 6th, 1940. Soon thereafter, it changed frequency to 1,450 KC as a part of the AM band shift brought about by NARBA. Over the years, the station went through several ownership changes. 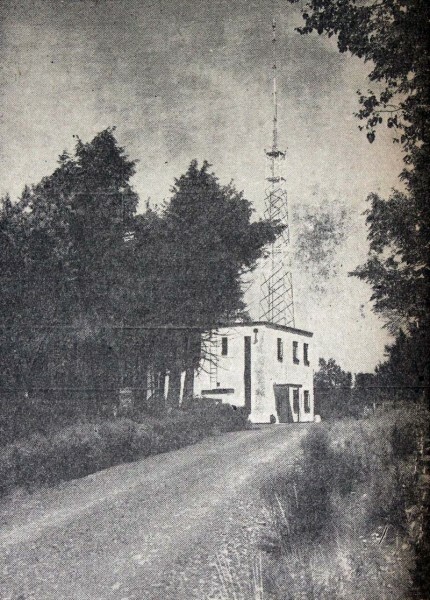 The first major technical change came in 1961, when the station transmitter site moved to it’s current location, then called Van Wagoner Road, now Tucker Drive. 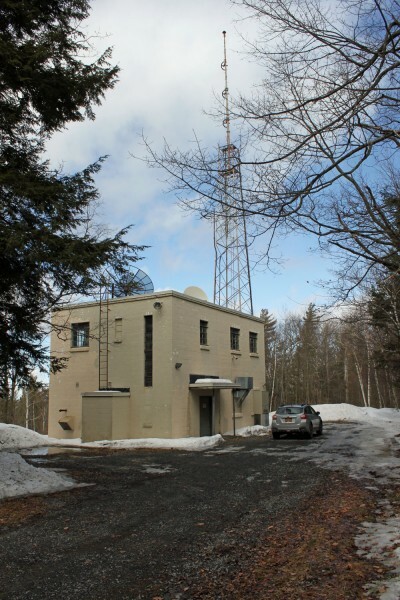 The station increased power to 1,000 Watts and installed a direction antenna for daytime use. It is one of those rare night time non-directional, day time directional stations. The directional antenna consists of two towers; tower one is 180 degrees tall (103.4 Meters or 340 feet) with 35 degrees of top loading. That is used for both the day and night time array. Tower two is 85 degrees tall (48.8 Meters or 160 feet) and is used only for the daytime array. This pushes the major lobe of radiation towards the north. I don’t know the reasoning behind that, but somebody spend a good amount of money to make it so. When I was growing up, my cousins lived within walking distance of this. We used to come over than throw rocks at the tower when the station was unmanned on Saturdays and Sundays. At least, I think it was unmanned because no one ever came out and yelled at us. Mid 1980’s MW-1A still runs. 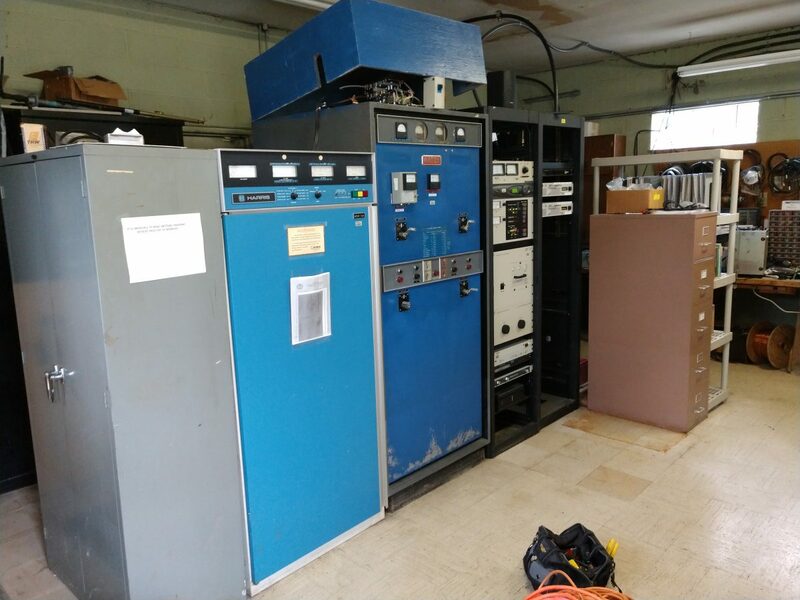 The BE AM1A is the main transmitter. The phasor is the Original 1960’s Gates Phasor. This video shows how the studios used to look, before they were rebuilt by Clear Channel Circa 2002 or so. At about the 2:02 mark, you will see the room pictured above as it looked in 1990. The space between the video above and the picture below looked bad with nothing in it. It looks better now. 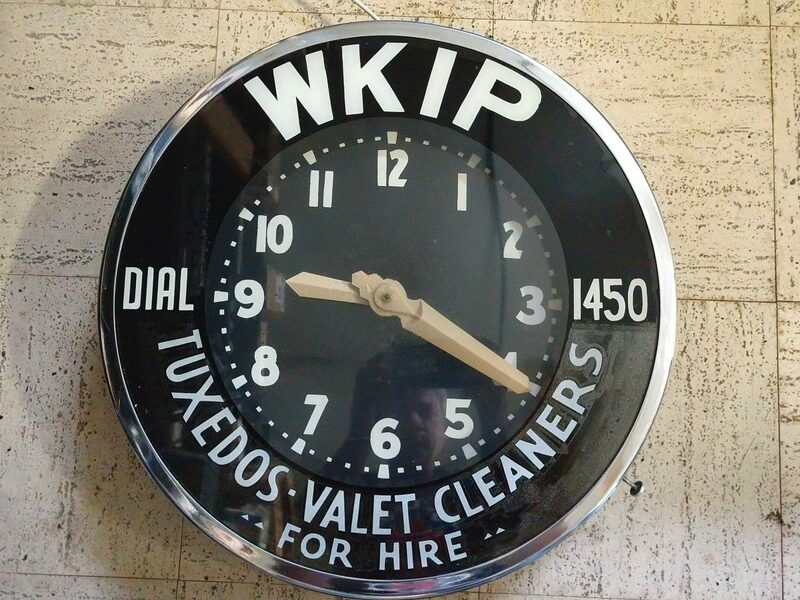 That clock is a collectors items and belongs in a museum. What is hilarious is that the same exact this is still going on forty years later. How many times have programming consultants, program directors, corporate programming guru’s sat around and said “What we really need is a catchy name, like The Buzz or something.” I don’t know how many times I have heard “The X” or “The Eagle” or “fill in stupid name here.” Do the listeners really think “Oh wow, they changed their name, I will listen to this station now!” No, not likely. The funniest part; “After more than 100 hours of extensive research… (the programming consultant) developed, refined, molded, polished, honed, shaped and pulled out of left field a revolutions new formatic programing concept…” Play music, say nothing, and scream “NINE!” between each song. Perhaps that is one Shively Antenna that you haven’t heard of. They were an odd-ball combination of a horizontally polarized antenna with an adjustable vertical element. 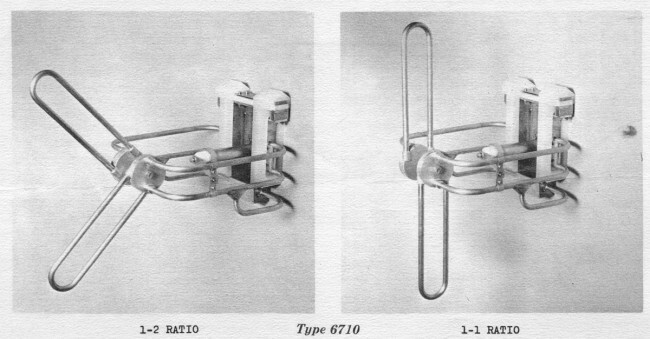 This design allowed the station to adjust the ratio of horizontal to vertical power from a range of 1:1 to about 4:1 (H:V). Why would this be a desirable feature? Back in the early days of FM broadcasting, almost all stations had horizontally polarized antennas. This system worked remarkably well, stations could broadcast at moderate power levels over fairly long, line of sight (or mostly line of sight) paths. Most FM receivers were stationary units installed in people’s homes often with outdoor antennas. It was not until the late 1960’s and early 1970’s that FM radio receivers became a stock option in most low and mid cost automobiles. It was then that a slight problem with FM broadcasting was discovered; car antennas are vertically polarized. People driving around in their new machines found that the FM reception was not all that great. 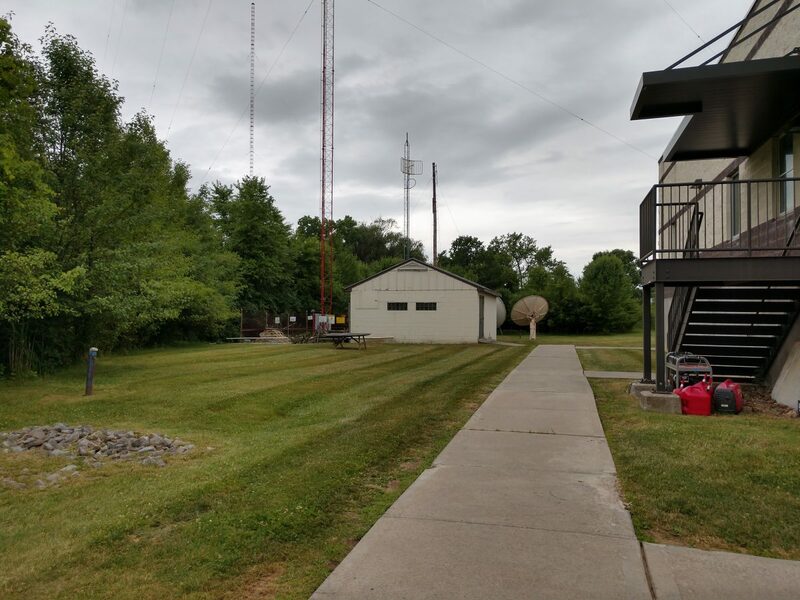 Stations began adding a vertical component to their signal to help improve the mobile reception situation. 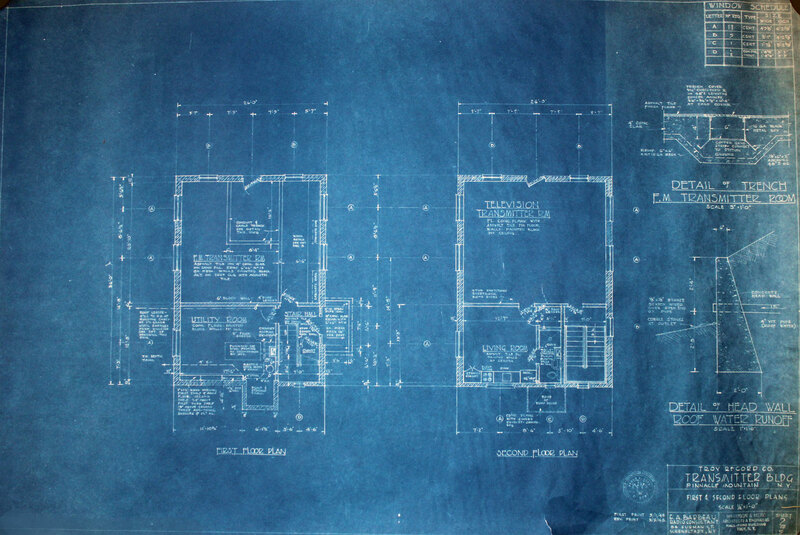 I found this Shively Brochure in a file cabinet drawer at the WFLY transmitter site. This model antenna was ordered and installed by that station in 1970. It had a 3:1 horizontal to vertical ratio. 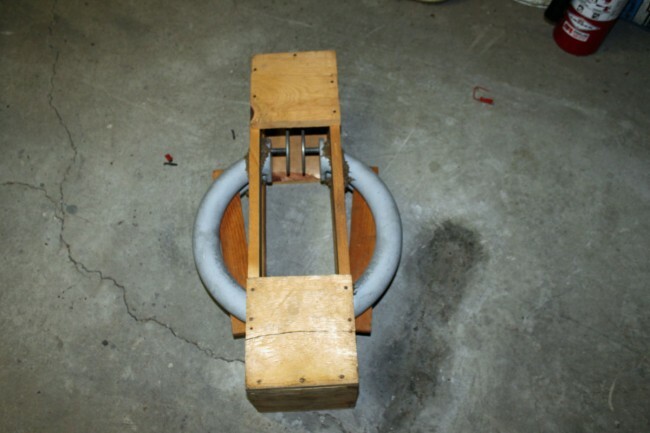 Why not install a fully circularly polarized antenna? Because often that necessitated installing a new, more powerful transmitter. Every watt of power taken from the horizontal plane and added to the vertical plane reduced the ERP by that much and had to be made up with more transmitter power output. Often times, the ratio of H:V power would be adjusted to take up whatever headroom there was in the transmitter and the station would run that way until the next transmitter replacement cycle. I found the remains of this antenna in the woods, north east of the tower. This section looks pretty well destroyed. 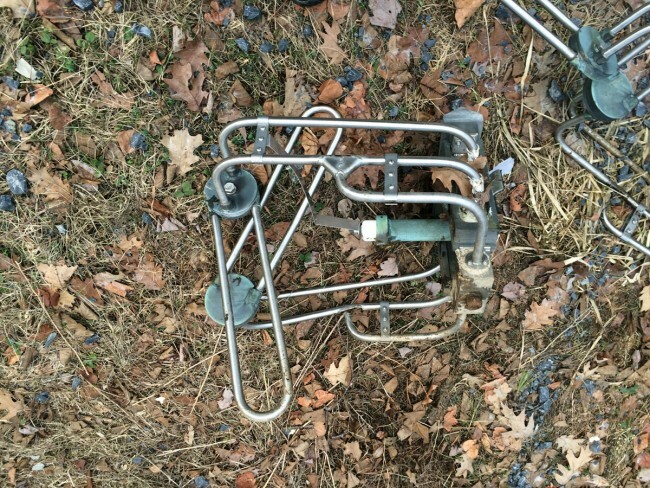 It is probably better to dispose of these type things by scraping, rather than dumping them in the woods. While there is not a lot of scrap value to this unit, it can become an attractive nuisance copper thieves and other vandals if it is left laying about. It is a strange looking piece of kit, a sort of make do until the situation could be fully rectified. I think this antenna was in service until 1986 or 87 when it was replaced with a circularly polarized ERI. In planning a new installation, the broadcast station engineer will be called upon to evaluate the products of various manufacturers before an order is placed for new FM stereo station equipment. In preparing his recommendation, the engineer will review descriptive literature, advertisements, and instruction books. He will seek information and advice from his consultant, other station engineers with stereo experience, and sales representatives of broadcast equipment manufacturers. His thinking may also be influenced by magazine articles and advertisements. 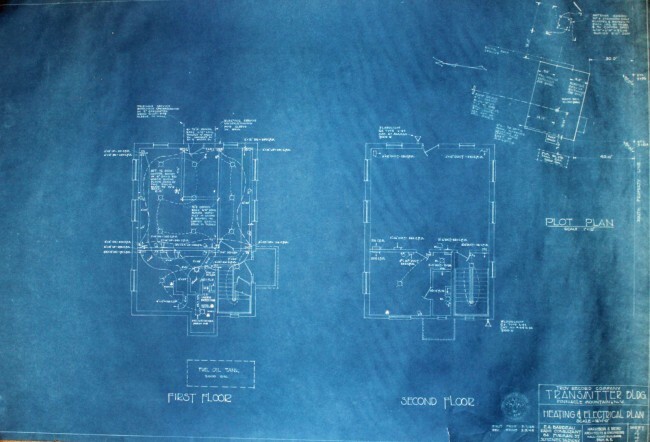 It is unfortunate, but true, that during the engineer’s survey he will encounter many conflicting opinions and claims. Some “advisors” may go so far as to imply that their system of stereo signal generation is the only one worthy of consideration, and all the rest have so many shortcomings as to be impractical or even unworkable. The simple truth is that any manufacturer offering a transmitter or associated device for sale to broadcast stations must obtain FCC type acceptance. In doing so, complete and authentic test data is submitted for the Commission’s review and approval. 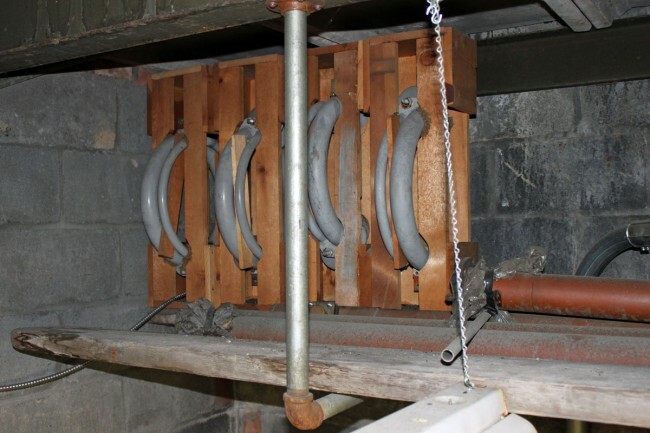 Type acceptance by the FCC is your assurance that the equipment will meet certain specifications. Thus you can either draw straws, or accept the views of the “advisor” with the most forceful opinion and still feel safe that the equipment you recommend will work. A more practical solution would be to prepare a list of equipment and features you require, with careful attention to needs peculiar to your own station; then select the equipment which most nearly matches your requirements. Ask management for a budget. This is probably the most significant factor in your recommendation. You should set both a practical budget and an absolute top limit. If you find it impossible to do the job within the budget limitations, do not hesitate to say so. Point out that stereo is a two channel system and that in addition to special transmitting equipment, the studio installation will require two of each amplifier, loudspeaker, telephone line, etc. Therefore, a stereo installation will cost considerably more than monophonic facilities. 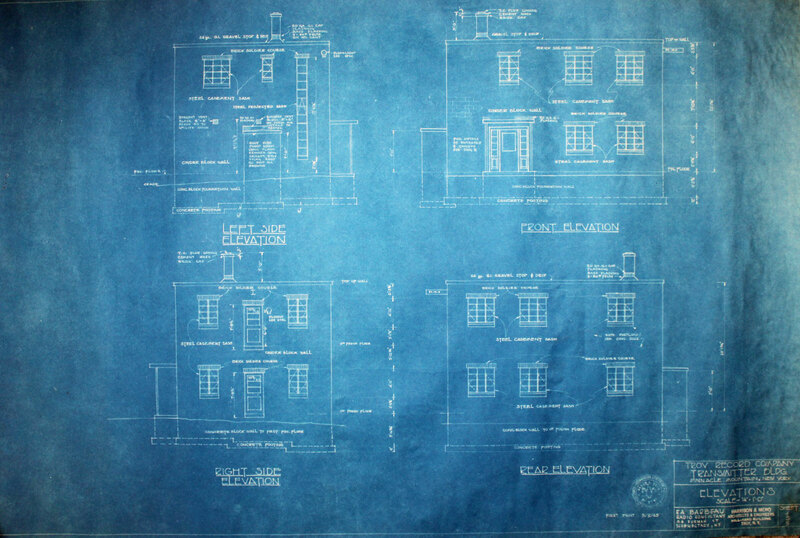 Review the program plans for the station. The quantity, complexity, and flexibility of the audio equipment selected must adequately meet these needs, with some reserve facilities for future expansion. You may presently have an FM, AM, or TV station a combination of these. In this case you can probably count on using existing studio facilities, some of the technical equipment, the tower, remote control facilities, and technical manpower. Consider the abilities of your technical staff. You may be the only engineer, or may have available a large staff of technical personnel. In any event, select equipment having circuits and components your technicians can install and maintain. Survey the supply situation. Determine the location and stock capabilities of electronic supply houses in your area. Keep in mind that any electronic component must eventually fail; and an inexpensive component can cost hundreds of dollars if you are “off the air” several days while a replacement is being flown in from a distant source of supply. If the supply picture is discouraging, you can best protect yourself by selecting practical equipment employing readily available components – and ordering an adequate supply of spares for parts you cannot obtain locally. Your next step is to prepare as complete a list as possible of the total equipment requirements. You will probably discover more equipment is needed than you originally anticipated. In determining what must be purchased, you must carefully integrate your needs with equipment now on hand. Your ultimate decision will depend on many interacting factors rather than on one outstanding feature of a particular device. It will be wise to purchase as many items as possible from a single source to take advantage of: compatability of equipment that is designed to work together as a system, coordinated shipments and service, possible lower cost because of quantity purchase and -if required- simpler finance arrangements. After considering the points outlined above, and making the lists, you are ready to select equipment. If the budget is limited you may investigate the possibility of some used equipment. However, since today’s FCC Stereo Specifications were only established as recently as 1961, there will be little used equipment available. In the majority of cases, converting old monophonic equipment will be difficult, costly, and the end result may be less than satisfactory. Old “dual channel” audio consoles have been successfully converted, but in the process usually require almost complete rebuilding. It is necessary to install dual faders, correct phase differences, and balance gain between channels. 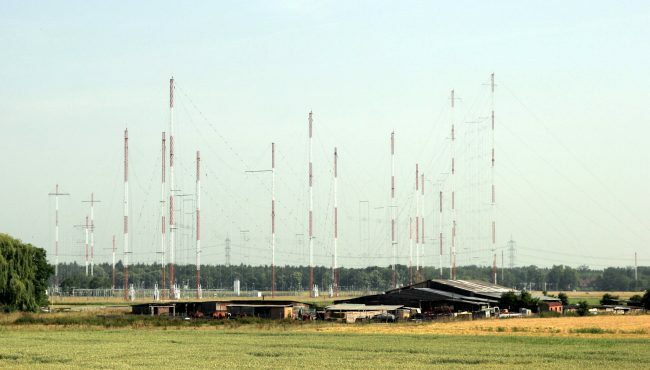 Used FM transmitters are frequently advertised, but many are left over from the early days of FM. 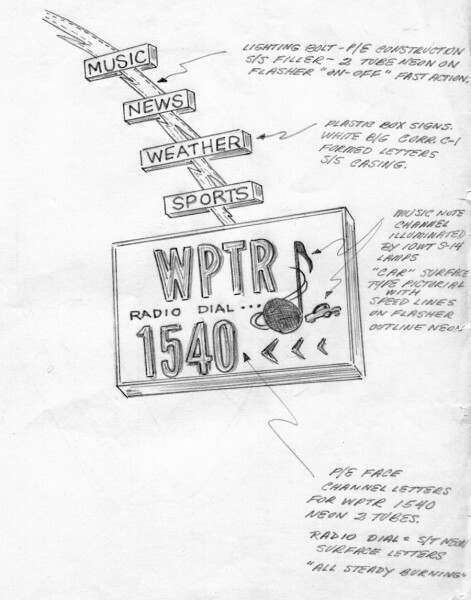 Some transmitter manufacturers of the late ’40s are no longer in business. Replacement tubes and parts are difficult, if not impossible, to get. Some older transmitters lack stability and some contribute to degradation of stereo separation, because they do not maintain the proper phase relationship between upper and lower sidebands. If such a transmitter is to be used, it probably will be necessary to purchase a new exciter and, of course, a stereo generator. Since stereo listeners are a discriminating and critical audience, audio equipment should be chosen with care. It will be wise to settle for only the finest professional stereo turntable and tape equipment. It is better to have the minimum requirements of excellent equipment than a control room crowded with “make do” items. Stereo consoles are available with a wide range of prices and facilities. 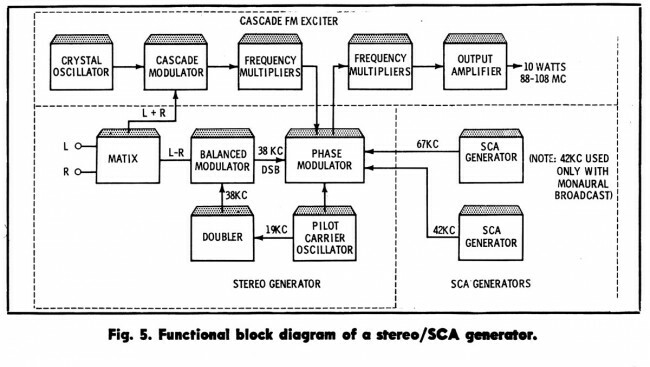 Some offer stereo channels only for record and tape inputs, while the more complete models even make provision for stereo network and remote circuits. Much of today’s programming is on records and tapes, but regional “off -the -air relay” stereo networks are springing up. Stereo microphone facilities are a must if you want your locally produced commercials to sound as impressive as your stereophonic music. Current models of FM transmitters are highly efficient, trouble free, and easily remote controlled. All FM transmitters follow one pattern- a basic exciter and a number of amplifier stages to produce the required power output. The power amplifiers in the various models are somewhat similar, except in high power transmitters (20 kw and up). A wide variety of FM exciters and stereo generators is offered, and this is one area in which confusion might occur. (Again, it should be pointed out that all these units are subject to FCC type acceptance.) 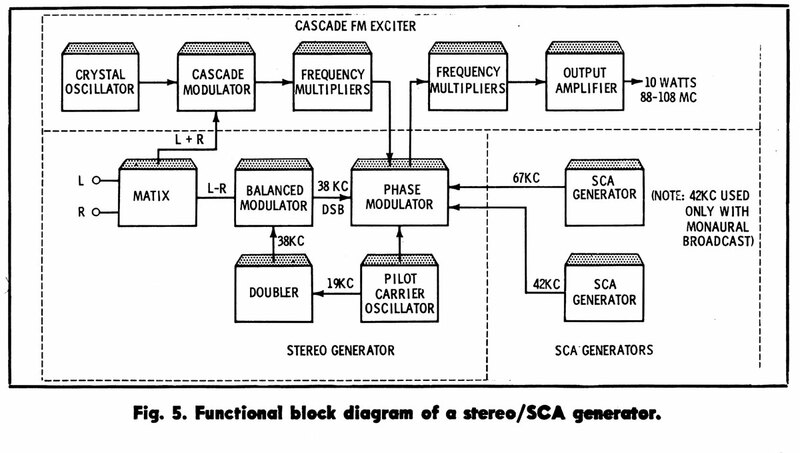 A typical exciter and stereo /SCA generating system is shown in Fig. 5. The block diagram explains the signal path and function of the various circuits. The selection, installation, and operation of FM multiplex stereo equipment requires the careful attention of a highly skilled technician. Installation, adjustment, and maintenance should be in exact accordance with the manufacturer’s instruction book. Following these instructions, the broadcast engineer can feel confident in planning a stereo installation that will be a pleasure to operate and a source of pride and profit. Used by permission of the publisher; SAMS Technical Publishing, Inc. 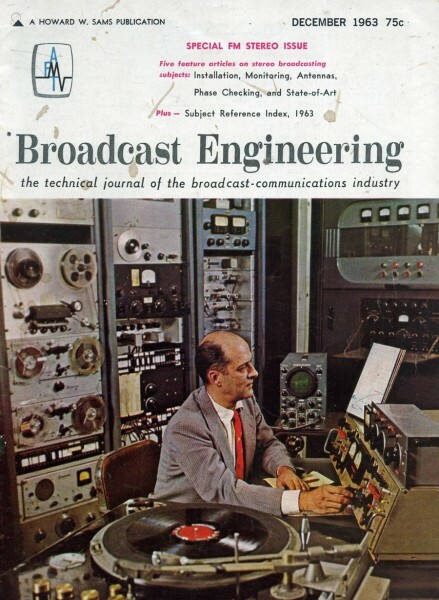 I found a stack of these old Broadcast Engineering magazines from the early sixties when cleaning out the WUPE-FM (formerly WNMB) transmitter site. 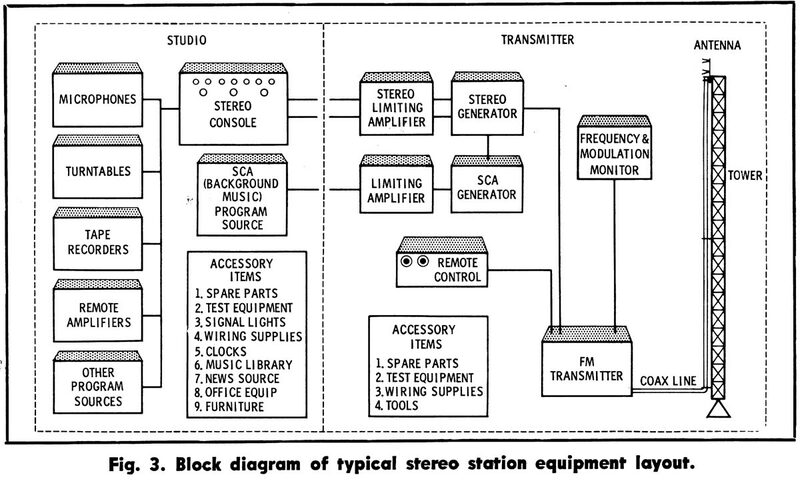 I thought it would be interesting to see how Broadcast Engineers some 50+ years ago were planning for FM stereo. 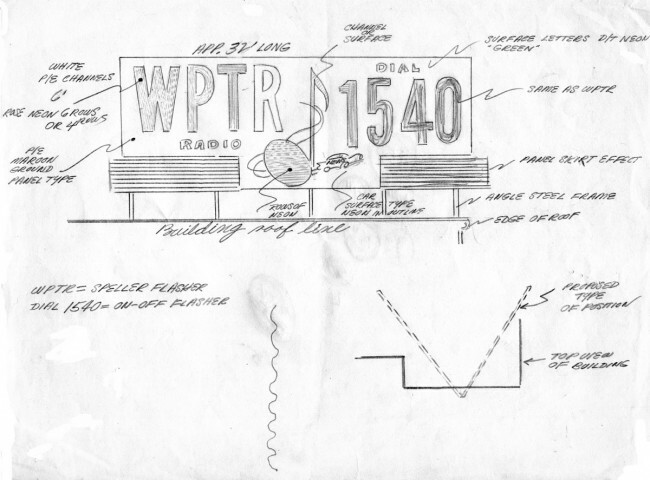 One of the stations I worked for, WRVE (formerly WGFM) was the first station in the country to broadcast with the General Electric stereo system. This was later adopted as the standard for FM stereo broadcasting in the US. For more historical broadcasting publications, go to American Radio History.